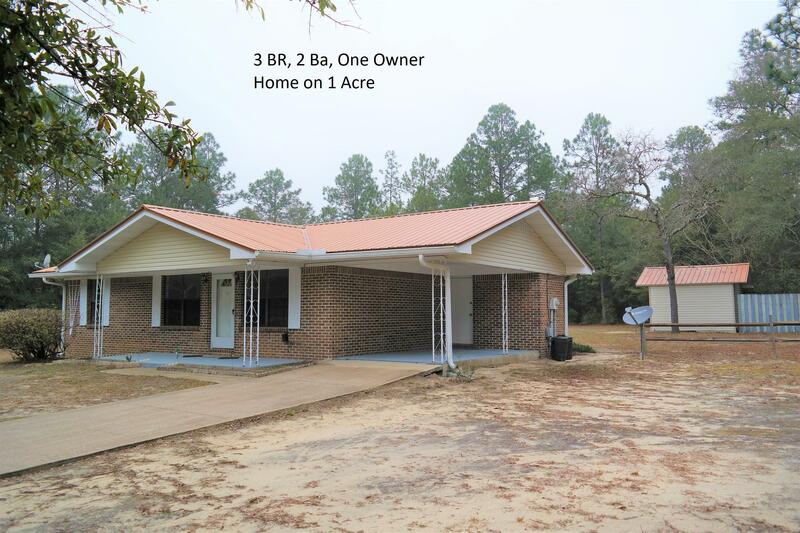 You'll want to act fast on this affordable, cozy 3 BR, 2 bath brick home on 1.3 ac. Great location in desirable neighborhood within 1.5 mi. to Juniper Lake Park & public boat launch; 3 miles to Lake Stanley Park & boat launch; 3 mi. to Walton High School and Maude Saunders Elementary. This is a 1 owner home. Upgrades include new septic & field lines'18; HVAC,and metal roof 8 years; Water heater 3-4 years; Newly painted with new laminate flooring in living, hall and bedrooms. Other features include laundry room off kitchen with additional entry from attached carport; 14x12 shop with power and attached covered area for mower or other yard equipment. Schedule your appointment today!